These lenses are used in laser scanners, spectroscopy, dye lasers, acousto-optics, optical processors and other similar applications. They are the best for circularization of diode laser outputs. 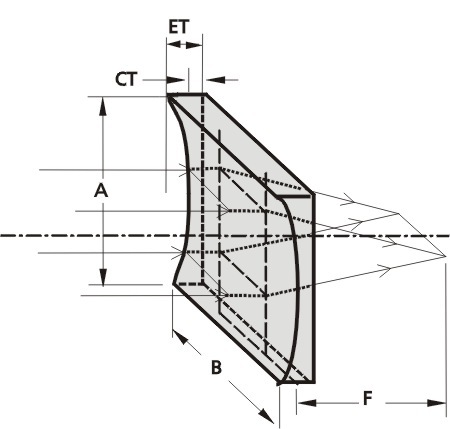 Earlier remarks made about plano-convex and plano-concave spherical lenses, with regard to aberrations and conjugate ratios, are also applicable to cylindrical lenses.